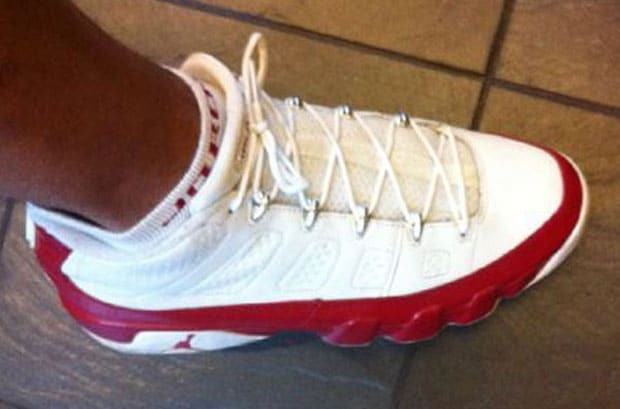 Air Jordan IX (9) Low "White/Red"
Jordan brand employee Josiah Lake taunts us again with another pair of his very own 1 of 1 Jordans (you remember these, right?). He calls them "Red Bulls"— they&apos;re a lowtop Jordan IX with a white upper and red lower toe and mud guard. Don&apos;t expect a release for this pair of IX&apos;s, but do check out the images above and try not to drool.